The basic concept of Home Automation is about providing the user with a seamless experience by integrating several of your home electrical appliances, entertainment devices etc. over one controlling platform, and making it easier for the user to control them even from distant locations. 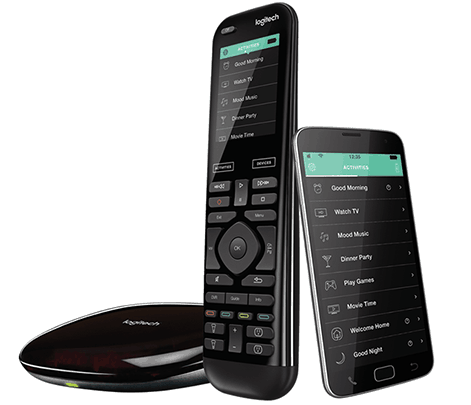 The Harmony Elite from Logitech features similar kind of functionality which helps you integrate several of your devices, like TV, DVD, AC, Lightings, Laptops, blinds, locks etc. over a single remote control. The Harmony Hub which comes with three different supported protocols of Wi-Fi, Bluetooth and IR helps you integrate device across brands like LIFX, Philips Hue, SmartThings, August smart Locks, Sonos, etc. Step 1: Position you Harmony Hub in such a way that it is left unobstructed and power it on through the power adapter. It will take 30 seconds for the Hub to power on. Step 2: Download the Harmony App on your iOS/Android device. Step 3: Launch the Harmony app and select Setup New Remote. NOTE: In case you have some older devices like iPod Touch 2 or iPhone 4, first go through the installation process via the Harmony Desktop Software. Here you need to create an account, and continue with the Wi-Fi Setup. Ensure that Bluetooth is enabled on your mobile device and it connected to your home Wi-Fi network. Ensure your Hub is powered on. Your Harmony App will find the Hub after several seconds. Make sure your Hub and the Harmony app are connected to the same Wi-Fi network. Make sure that your Harmony Hub is connected to the 2.4GHz router as it is not compatible with the 5GHz router. Step 5: After your phone and Hub are paired over the Bluetooth, you will then be asked to enter the Wi-Fi credentials and complete the Setup.